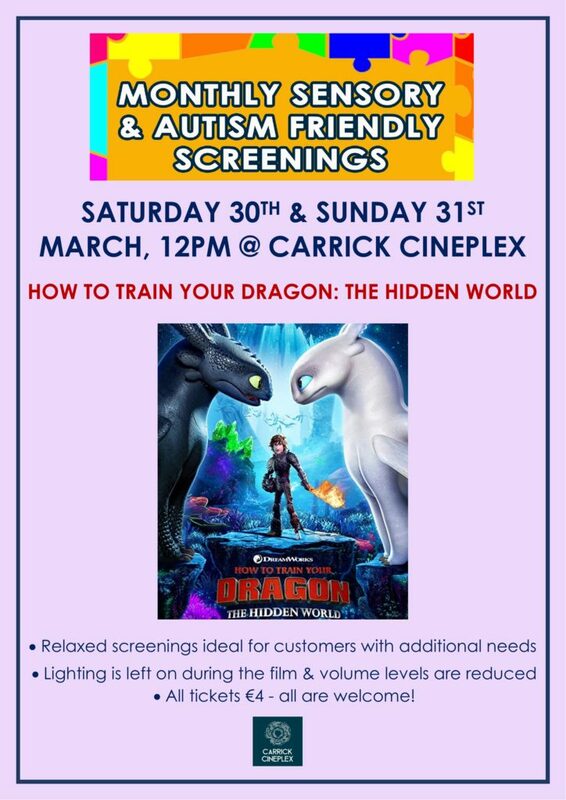 This months sensory/autism friendly screenings at Carrick Cineplex takes place this weekend,Saturday 30th & Sunday 31st March at 12 noon. This months film is ‘How To Train Your Dragon: The Hidden World’ (PG). These are relaxed film screenings ideal for customers with additional needs and also young children trying the cinema for the first time as lighting is left on during the film and volume levels are reduced. All tickets €4 and all are welcome! 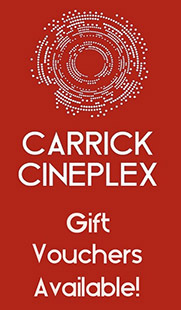 Please contact us on 071 96 72000 or email info@carrickcineplex.ie if you need any further information!